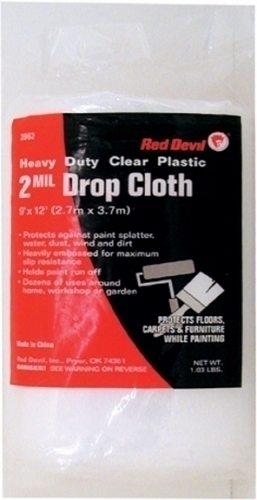 Plastic Drop Cloths can be used for many purposes around the home, office, workshop and garden. Protects against paint spatter, water, dust, wind and dirt. Heavily embossed for maximum slip resistance. Holds paint run off.